Matcha green tea has recently become a new staple in my pantry! 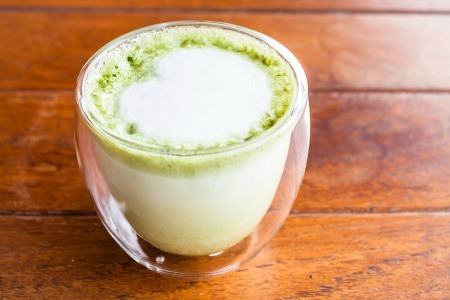 I’ve always known the health benefits of green tea, but matcha takes it to a whole new level! Known as ‘super green tea’, matcha is unfermented green tea from the species of plant Camellia sinensis. The tea leaves, which grow in many places around the world, are grown in the shade which gives matcha a dark green pigment. As with many foods, the darker the colour, the higher the antioxidant properties. The tea leaves are then ground up into a green powder, which is ‘matcha’. As the matcha is consumed in powder form, instead of steeped like regular tea, it is a super powerful little green powder! 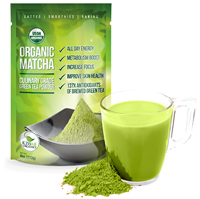 Matcha contains 137 times more of the antioxidant, epigallocatechin gallate (EGCG), than other types of green tea. It has been proven that EGCG is effective in preventing many forms of cancer heart disease, just to name a couple! One study has shown that green tea polyphenols acted to prevent ongoing UVB-induced skin carcinogenesis and the growth of tumors. For all you coffee addicts out there, are you ready for a life-changing moment? Another benefit of matcha green tea is that it provides a high-energy boost while providing less caffeine per cup than coffee. A main amino acid in matcha, L-Theanine, is present at about 5x that of regular green tea. L-Theanine promotes relaxation and brain alertness. This means you get the mental clarity that caffeine can give you, without the energy crash afterwards. You can find matcha in lots of health food stores and places like Whole Foods or Trader Joe’s. Many Japanese supermarkets have matcha as well. I prefer organic matcha, and love the “Kiss Me Organics” brand seen below. It’s available on Amazon. There are a number of ways to use Matcha Powder, and although it’s a ‘green tea powder’, I don’t think it’s best used simply as green tea. I like it in a smoothie, or even as a Matcha tea latte.